In Gemini Wars, the player controls a fleet commander rising through the ranks of the United Space Federation forces.Start with a small group of frigates, and climb your way to controlling battleships, carriers and planetary bases, in huge space battles and boarding actions.Build space stations and orbital facilites to fortify your position, build your fleet, extract minerals and research upgrades.Execute boarding actions using marine special forces, and bombard your enemies with orbital long range cannons. We've just launched the IndieDB page for Those Who Remain, an upcoming psychological thriller. Those Who Remain is different from our previous game Syndrome. There's no combat here. It's all about puzzle solving, logic and strong narrative. There are two main features at play in the game. The first is the light and dark mechanic. The main character can only survive by staying in the light. This means that the player needs to find light sources to progress. The second is what we like to call the "mirror worlds" mechanic. There are portals in Dormont that connect to a mirror version of our world, where everything is similar but very different at the same time. Actions made in one world, reflect on the other. Camel 101's latest project, the Real Time Tactics game BLACK TALONS is on Kickstarter. 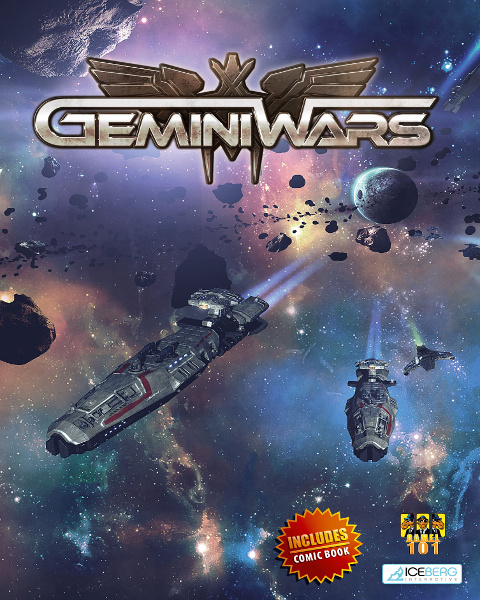 To celebrate the Holidays, Gemini Wars is 66% off on the Steam Christmas sale! Multiplayer mode is being released soon, along with a 50% off promotion. The 1.21 incremental patch for Gemini Wars. The 1.2 incremental patch for Gemini Wars. The 1.13 incremental patch for Gemini Wars. The 1.12 patch for Gemini Wars. This game is crap. Only half finished. No modding possibilities, battles only at specifyed nodes, not many ships, not much difference in ships. Was a waste of money. I enjoyed the game. But its unbalanced issues got old quick. Like how I can destroy 10 of the alien super ships. only to have them rebuilt before you could rearm a fleet. Also repair rate needs a big bump up. Um demo? where is it? Just bought it on steam.. I love space games..
Hmm.. so this is 15 bucks in your webstore but 30 bucks here? *23 days later* It's so quiet ._.